Writing this blog post at the end of a day where the temperature was 32 C, I’m definitely feeling like it’s time to share the summer collections. I’ve got a few on the way over the next couple weeks, but today’s post features the nautical-inspired Quo Summer 2016 Collection. 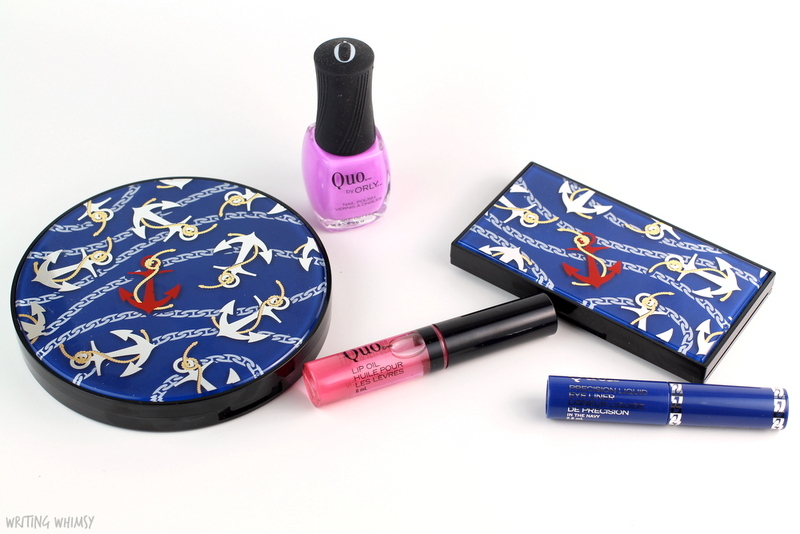 From the Quo Summer 2016 Collection I have the Quo Bronzer in Sunny Days, Quo Eyeshadow Palette in High Tide, Quo Precision Liquid Eye Liner in In The Navy, Quo Lip Oil in 40 Knots and the Quo by Orly in Purple Sunset. Missing from this post are two more shades for the Eyeshadow Palette, a second Lip Oil, three more polishes and a Nautical Double-Ended Brush Set. But I do have lots of goodies to get you started! 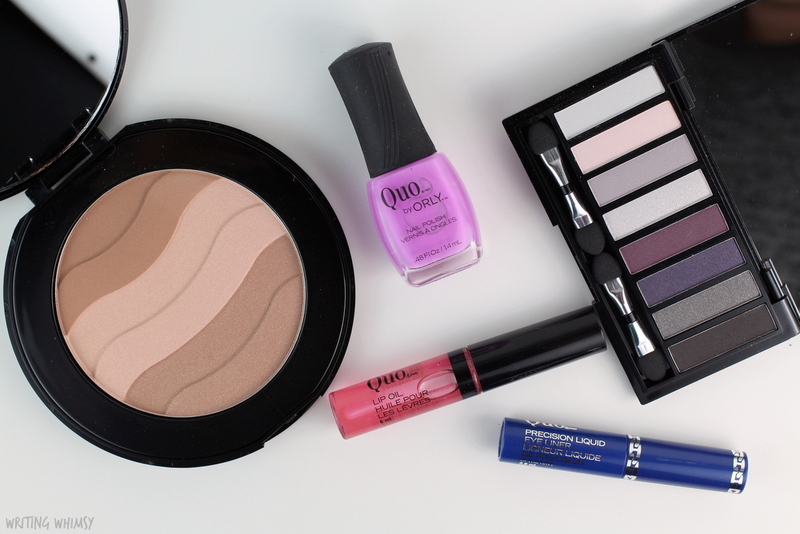 I’m not sure how I decided what order to put the products in this post, but I can tell you that I started with one of my favourites, the Quo by Orly in Purple Sunset. This is actually my third year sharing polishes from the Quo Summer Collection (check out 2014 here, and 2015 here) and they always do the most colorful, fun shades. I’ve only got the one this year, but it’s beautiful! Quo by Orly in Purple Sunset is gorgeous purple creme polish with a pink undertone. It’s almost like a neon pastel, if that makes sense. The formula is absolute love for me, nearly opaque in one coat although I went with two for the most even, opaque coverage. I really, really love this polish! The collection also includes Pink Bikini (pink), Coastal Cruisin’ (orange) and Sun Daze (yellow) shades. 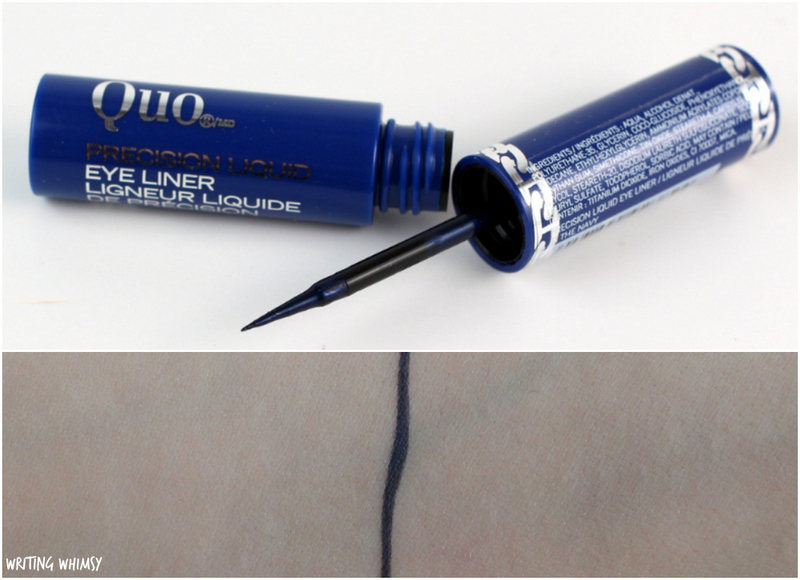 Next up is the Quo Precision Liquid Eye Liner in In The Navy. This dark liner is a “dip” pen style with a firm foam applicator. I actually found it quite easy to get a precise line, so it definitely lives up to its name. The shade is also very opaque and dries to a satin finish. 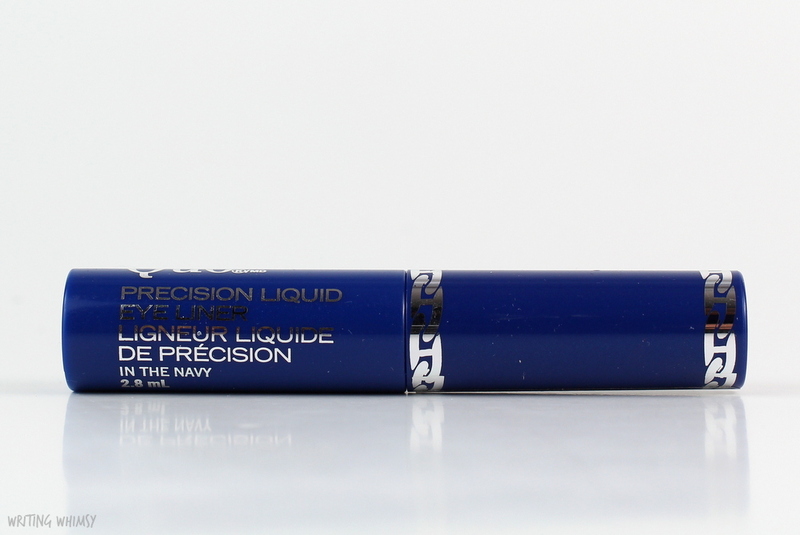 I rarely use eyeliner, and when I do it’s mostly on my lower lash line, so this isn’t a product for me, but if you’re looking for an excellent navy liquid liner it’s definitely worth checking out. Lately a lot of brands have been coming out with lip oils and can I just say, I LOVE IT. I’m absolutely obsessed with the Quo Lip Oil in 40 Knots. I wouldn’t be surprised to see this in my empties in the next couple months because I’ve honestly already made a dent in it I’ve been reaching for it so often. 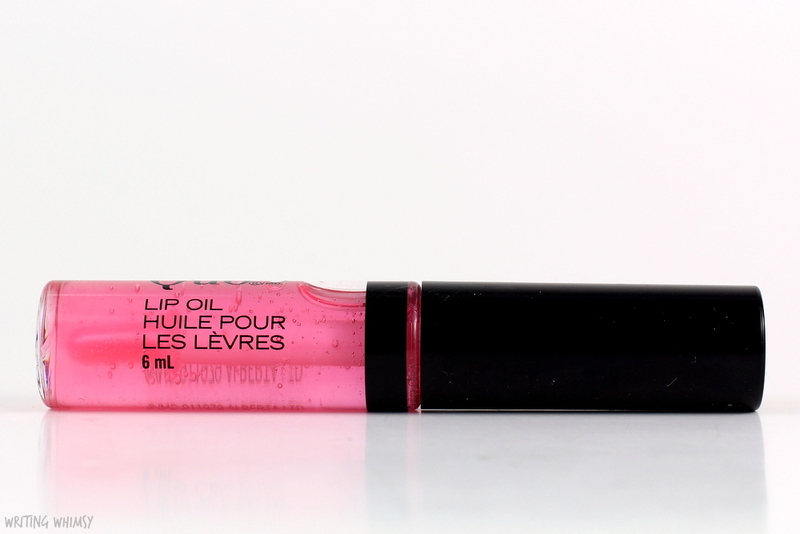 The Quo Lip Oil in 40 Knots has a sweet, slightly tart scent that reminds me of candy and that I love, but no flavour. The shade I have is tinted pink but you don’t see any colour on the lips, which is why I don’t have a swatch. 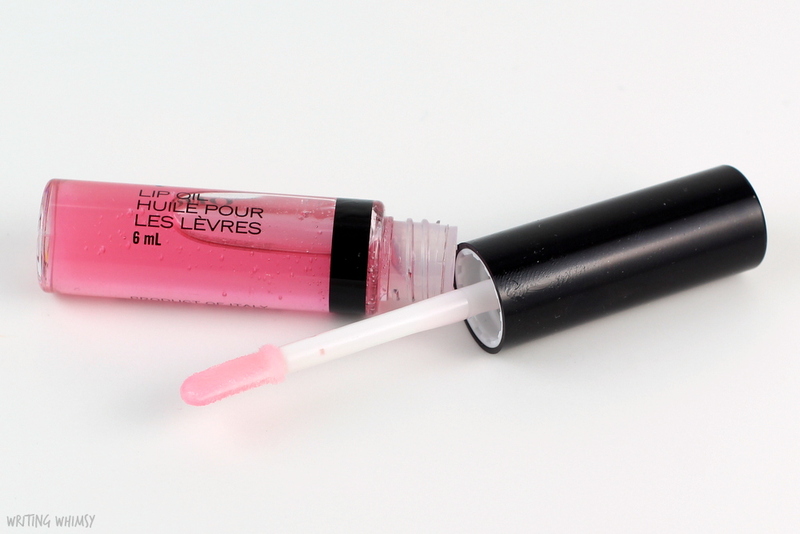 It does feel like an oil when applied, so it’s super comfortable and glossy with a thin consistency. As I said, I just love the way it feels and it makes me want to pick up the second shade, Set Sail (with an orange tint) just because these are limited edition. Unfortunately the biggest disappointment for me from the Quo Summer 2016 Collection was the eyeshadow palette. 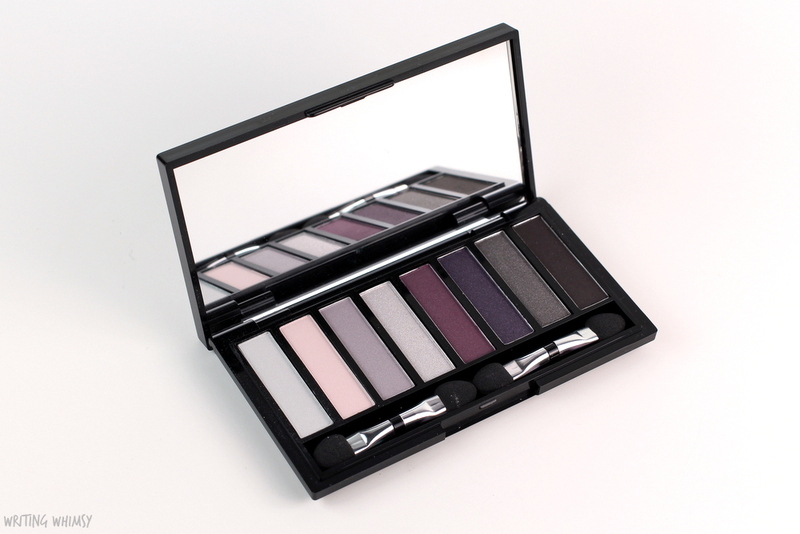 Quo can be hit or miss with eyeshadows but for me, the Quo Eyeshadow Palette in High Tide was a miss. The one I received has a mix of cool-toned purples which are definitely more unique in my collection. However there are 4 very light and 4 very dark shades and nothing in the middle. 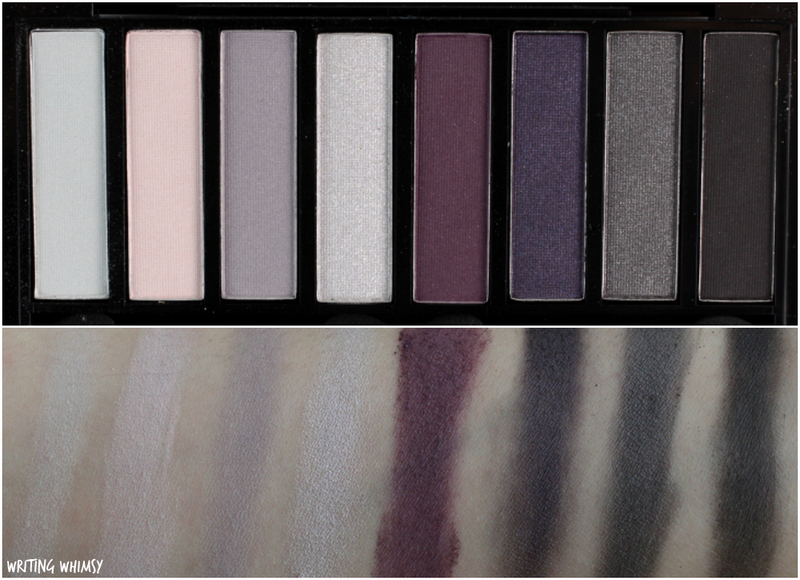 Then, in terms of formula the Quo Eyeshadow Palette in High Tide is powdery. As a result, even though my swatches look pretty nice, the shadows easily sheer out on the lid. I always like to show makeup looks with my reviews, because just swatches can be a bit misleading and this is why. In the above look I’m wearing the Quo Eyeshadow Palette in High Tide. Although I love the purple tones the shadows already look faded and like they are starting to crease even though I had just applied them. In comparison, when I applied the shadows over a sticky base (I used the Kat Von D Lock-It Color Correcting Eyeshadow Primer) I got much better results in terms of pigmentation and wear. So while these shadows aren’t a lost cause, they are still messy to use, and I just know that Quo can do better. 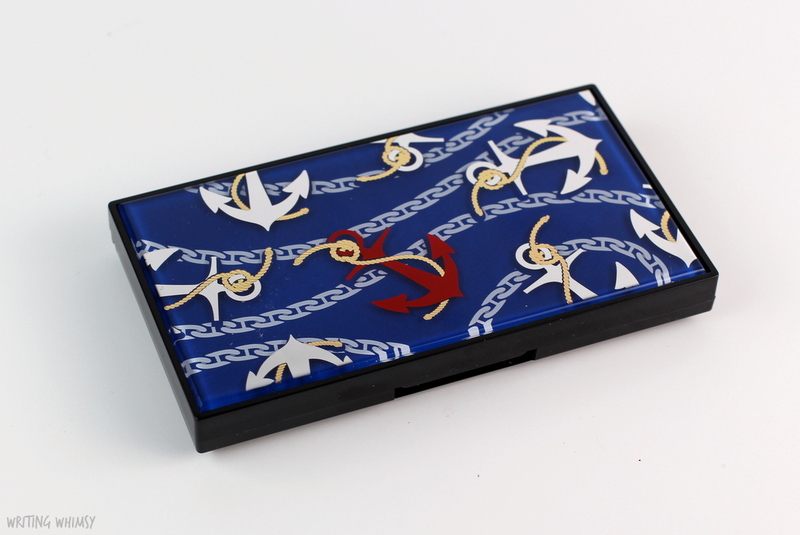 Similar to the Eyeshadow Palette, the Quo Bronzer in Sunny Days is packaged in some gorgeous nautical-inspired packaging. I really love all the different designs Quo does for their LE collections but this one in particular is just stunning! 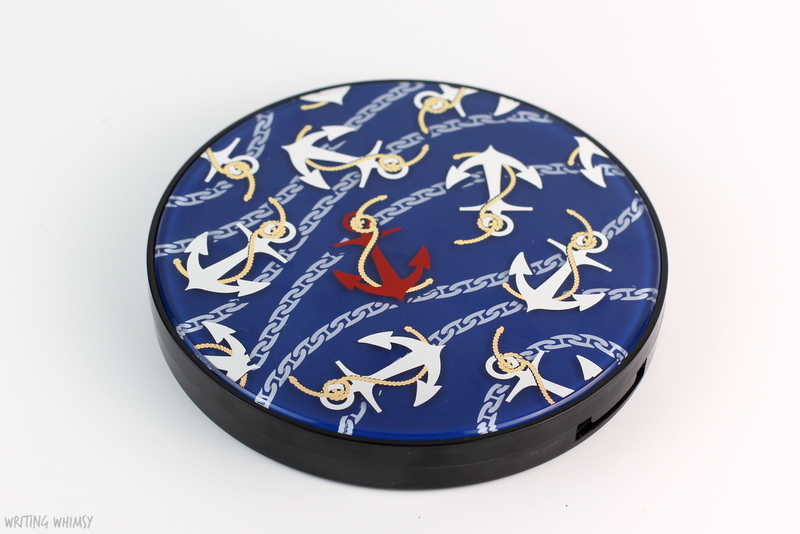 Plus, the plastic compacts that powder products are housed in feel really sturdy and are easy to open. Definitely impressed with the packaging! 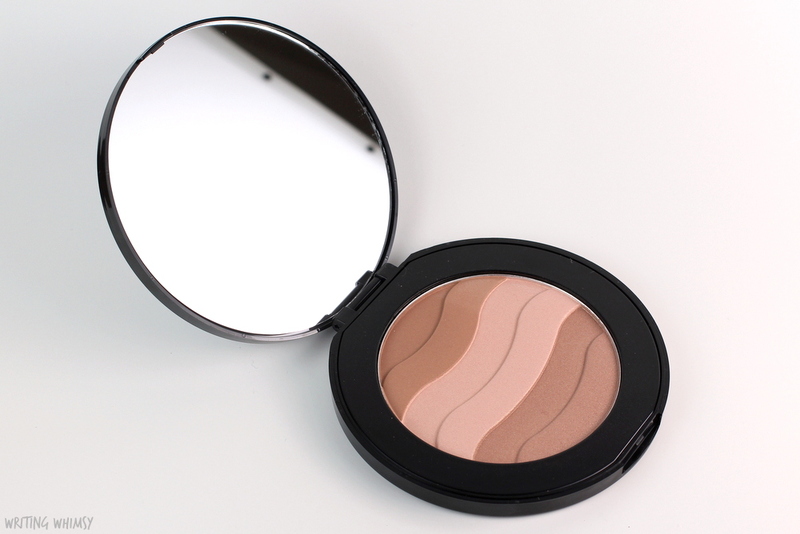 In terms of the products inside, the Quo Bronzer in Sunny Days features a lovely design with three different shades: a warm matte caramel brown, a peachy highlight with shimmer, and a brown with shimmer. 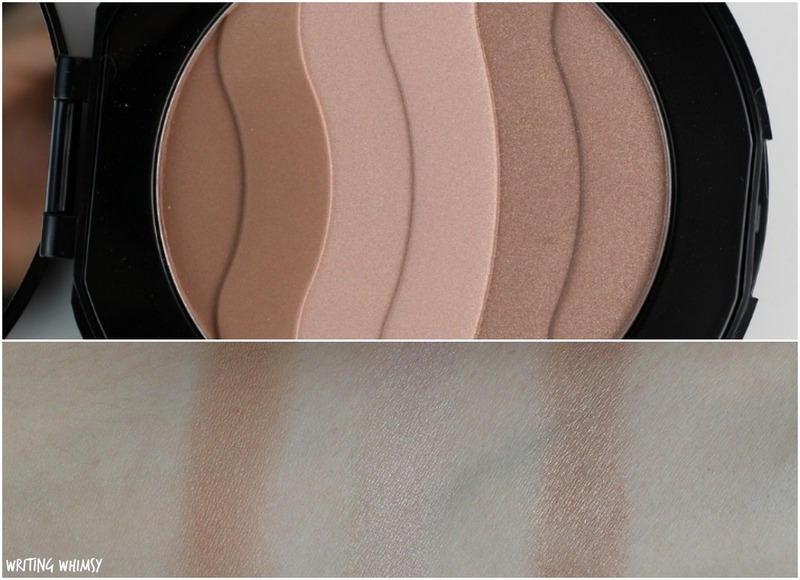 You can swirl all three shades together but I had no issues using them separately as well, which definitely gives you more pigmentation on your cheeks. That said, these shades are definitely better suited to light skin. 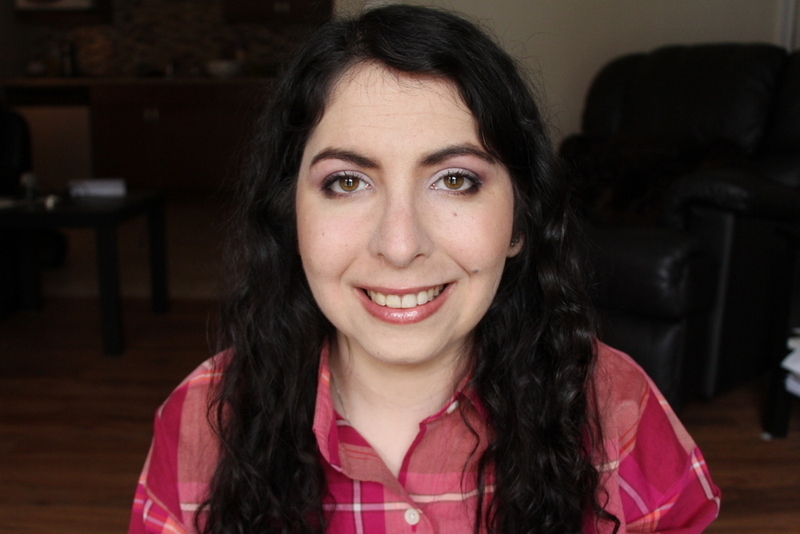 In the above look I’m wearing Quo Summer 2016 Collection featured in this post, with the exception of the eyeliner–because honestly, it’s lovely but I just don’t use liquid liner much. I applied Quo Bronzer in Sunny Days so that I could build up the matte bronze shade on my cheeks, apply the highlight shade along my cheekbones, and sweep the shimmery bronze shade all over my face. And that’s it for the Quo Summer 2016 Collection! In terms of recommendations from this collection, by far my two favourite products were the Quo by Orly in Purple Sunset and Quo Lip Oil in 40 Knots and I highly recommend picking both up at Shopper’s Drug Mart. I will be getting a ton of use out of both this summer! Do you see anything on your shopping list from the Quo Summer 2016 Collection?